The LT16A is a classic style multimeter with True RMS meter and phase rotation. 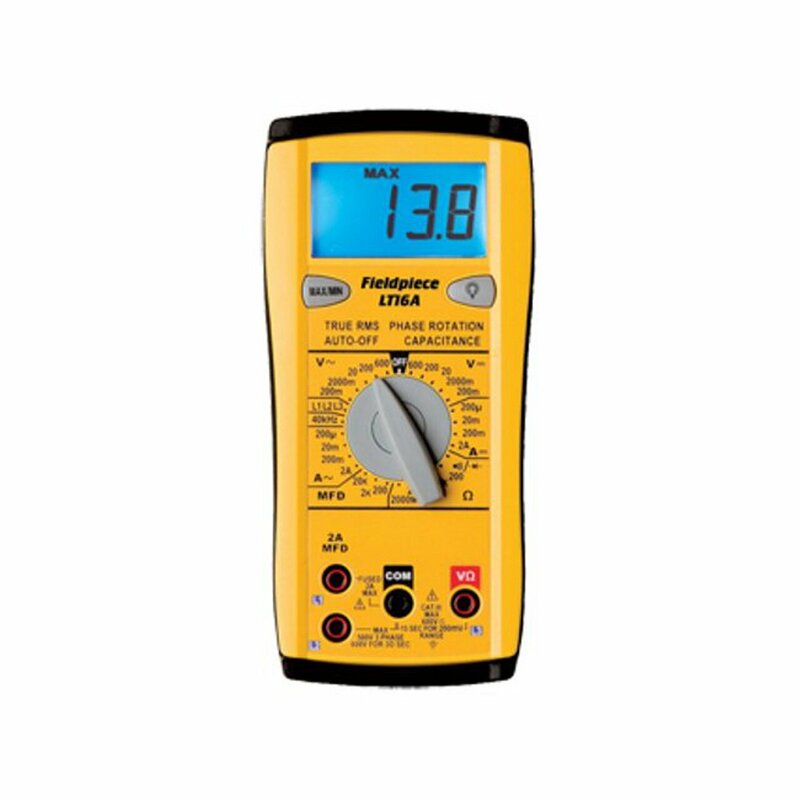 This manual ranger covers the electrical parameters you need for HVAC/R and, with detachable test leads, works with our accessory heads to test non-electrical parameters too. The LT16A meter measures current, resistance, voltage, capacitance, frequency, continuity and more. Test leads store in the meter body along with the tilt stand and magnetic hanger. The body is constructed of durable ABS plastic and a blue backlight makes the large LCD even more visible. We like to call this the HVAC/R detective's meter. It's the meter for technicians that like to search down, figure out and solve electrical mysteries on a system.